Today my father, brother, and I partook in a pastime that millions of Americans enjoy: we attended an American football game. The game started at 19:30, and the temperature was 12 f (-11 c), so we bundled up as much as possible considering we were traveling and had minimal warm weather clothing with us. We got there before the game and sat there “enjoying” the freezing cold weather. Then the game started. 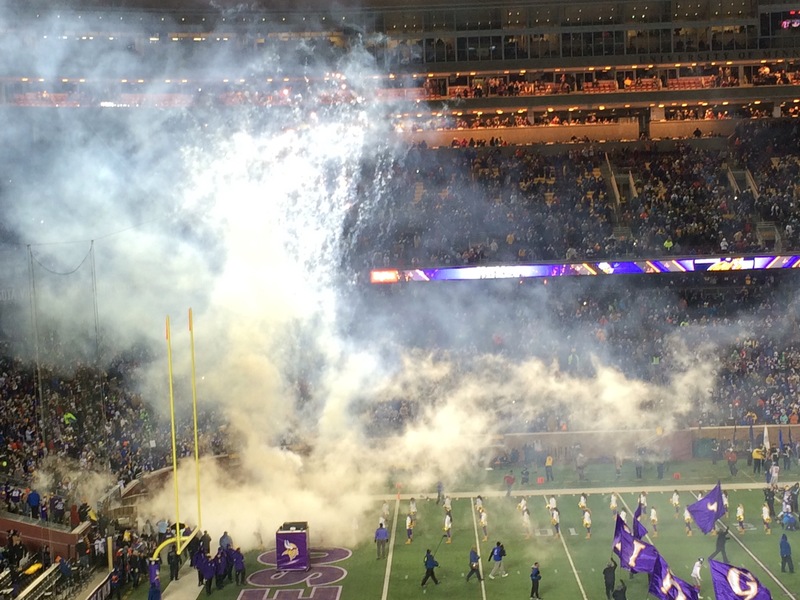 It was a sensory experience, the smell of hot dogs in the cold air, the taste of the excessively expensive food, the sound of the crowd singing the song “skol Vikings” and clapping with mittens on, the feeling of losing the sensation of feeling on my nose, and the view of the spectacle before us. And what a spectacle it was! Fireworks! Touchdowns! More fireworks! Cheerleaders! FIREWORKS! 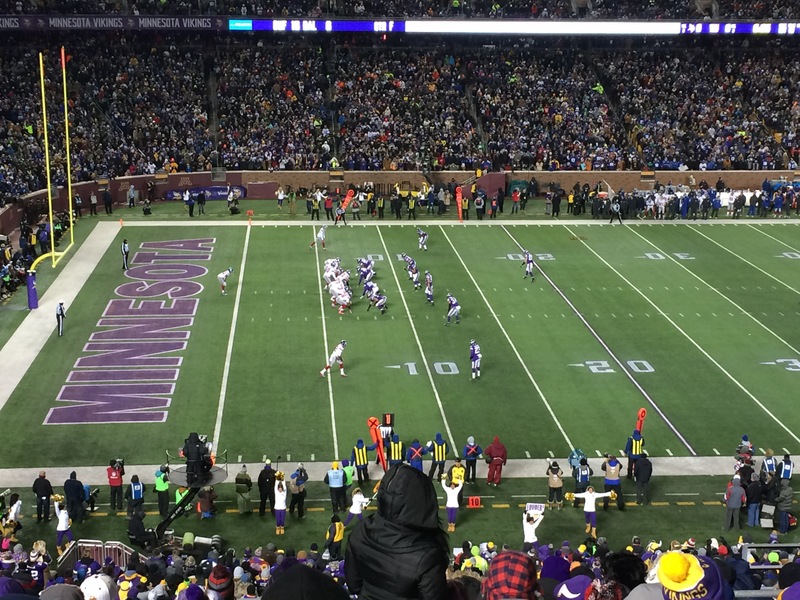 The game was a complete blowout where our team won, and it was fun to watch them score – nothing worse than a low-scoring game. What a great way to spend time with my father and brother.